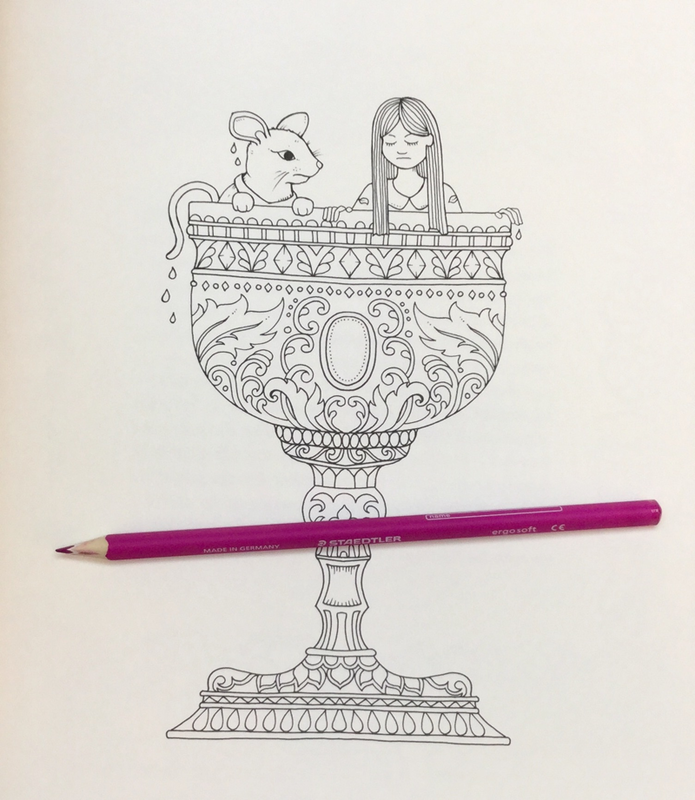 Johanna Basford has a new spin on the world of adult coloring: a lavishly illustrated fable about a little girl named Ivy who stumbles upon a secret door leading to the magical world of Enchantia. 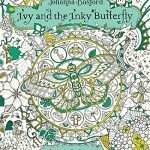 Ivy embarks on a quest through its many realms in pursuit of her inky butterfly, meeting whimsical characters and discovering many wondrous things along the way. 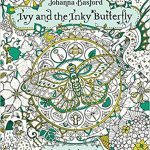 A charming story that interacts playfully with beautiful, colorable artwork in Johanna's signature style, Ivy and the Inky Butterfly is a one-of-a-kind adventure for readers of all ages to customize, color, and cherish. 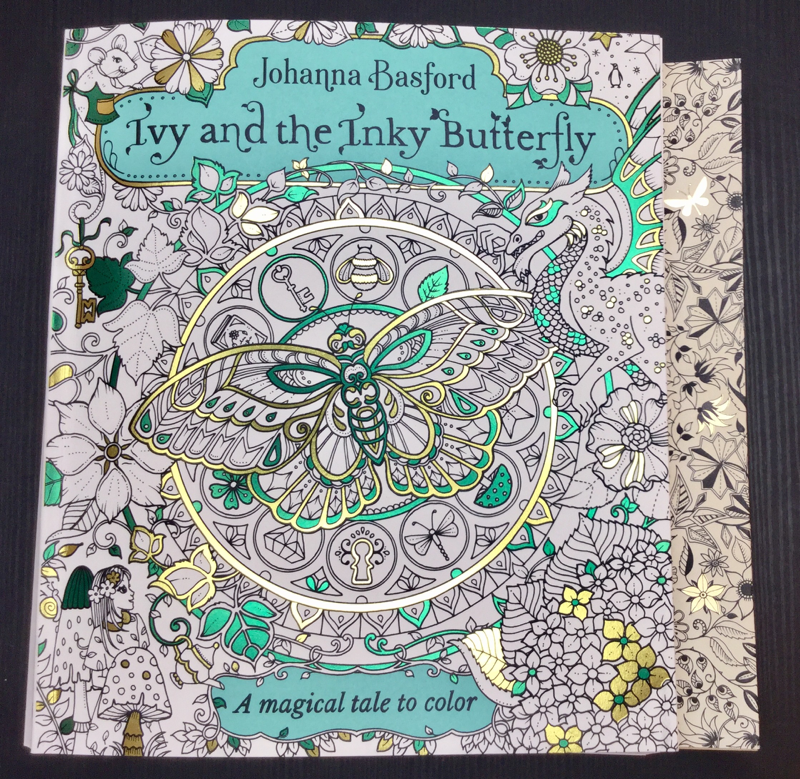 I hope you enjoyed the video review of Johanna Basford’s latest coloring book, Ivy and the Inky Butterfly – A Magical Tale to Color. There is nothing I like more than a bedtime story. I know it’s an odd thing for a grown woman to say, but I often ask my hubby to tell me a bedtime story. He usually tells me something from his work day, and embellishes it a bit, to keep it interesting. 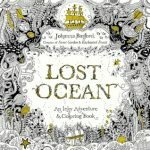 When I found out that Johanna Basford was creating a coloring book based on a bedtime story she told her daughter, Evie, I knew it would be special. 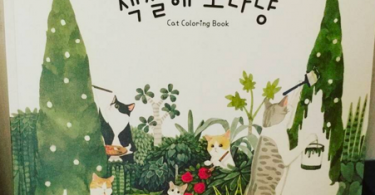 While she was working on Secret Garden in 2012 being a busy freelance artist, wife and mother she slowly started developing a story about a girl called Ivy. Her daughter, would be lulled to sleep with tales of the magical land of Enchantia. 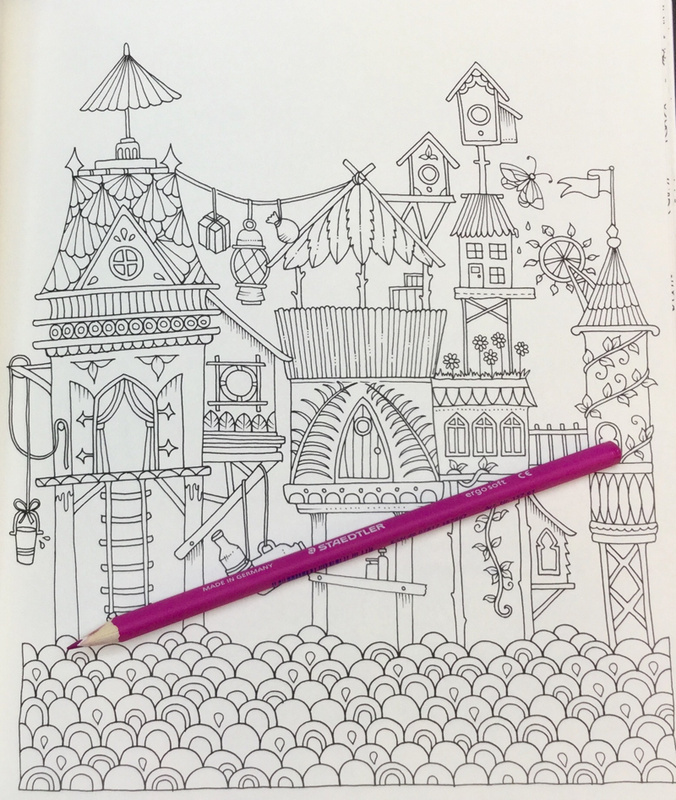 This story grew until Johanna knew that she had enough to pitch it as a coloring book. Last year when Johanna released Johanna’s Christmas, I suspected she was moving away from the formula that has been so incredibly succesful for her. Ivy and the Inky Butterfly confirms that for me. 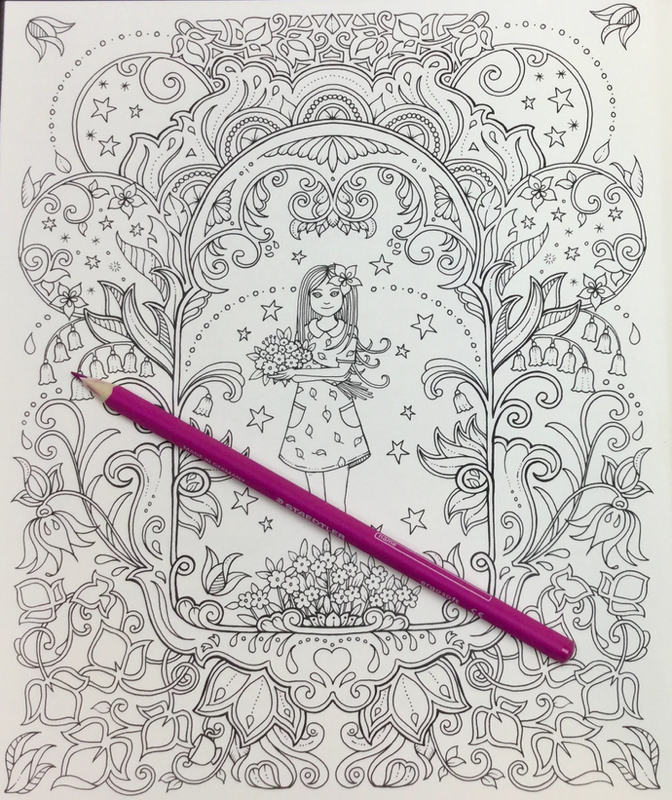 As an artist, she has dared to veer from a set path and made the choice to challenge herself (and us) creatively. I have to say, Ivy and the Inky Butterfly is by far my favorite book so far. 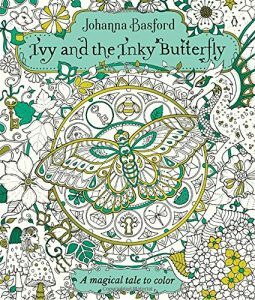 As most readers know, I adore whimsical illustrations, add in a gorgeous story, familiar florals, beautiful paper and the elegant ink work and you have Ivy. This is truly a keepsake book. 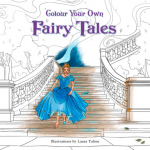 Johanna has taken to writing magical tales as she has to coloring books. I read the story as soon as the book arrived today (I’m just a big kid) and it is a lovely tale. I can’t help wondering if Enchanted Forest was inspired by this magical land of Enchantia. Depending on whether you opt for the US or the UK edition (I am unsure about other imprints for other counties), you will have a choice of covers. In the UK the cover has bronze foiling. In the US gold and green foiling with aqua printing, make for a very pretty cover. The US version is the edition that I have and I am super pleased, because that cover is gorgeous! 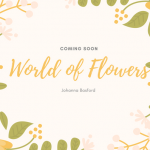 Unlike other books by Johanna there is no dust jacket, but a fold out card cover. 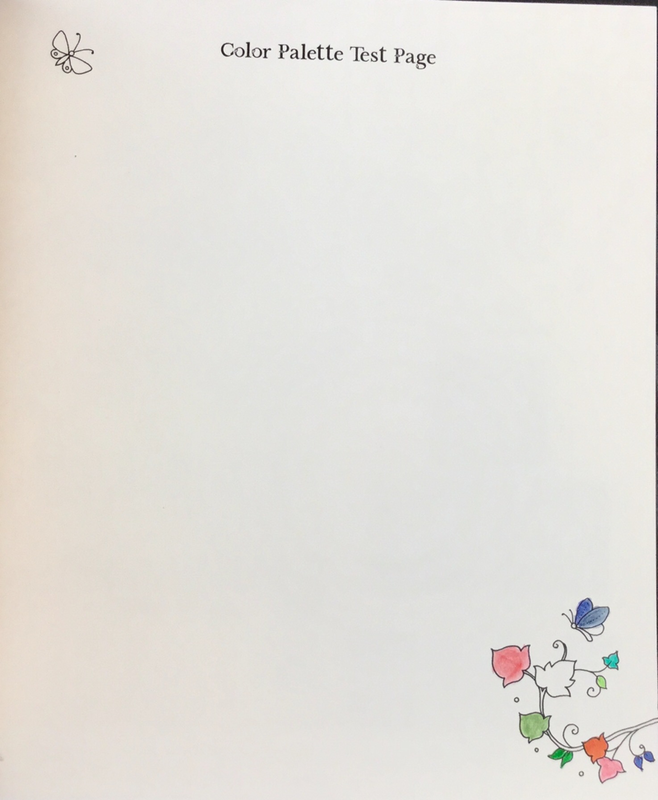 The inside cover features small flowers, leaves and trinkets. 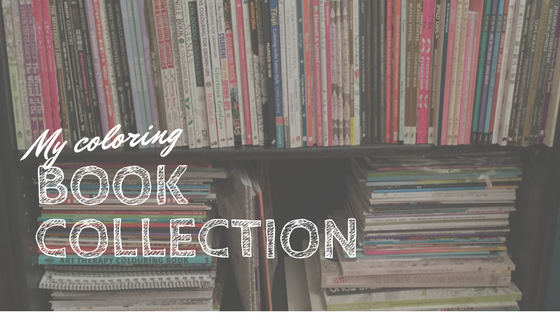 This is a far sturdier covering than a dust jacket and avoids small tears and rips that happen with dust jackets. On the back of the cover line art frames the publisher’s blurb. 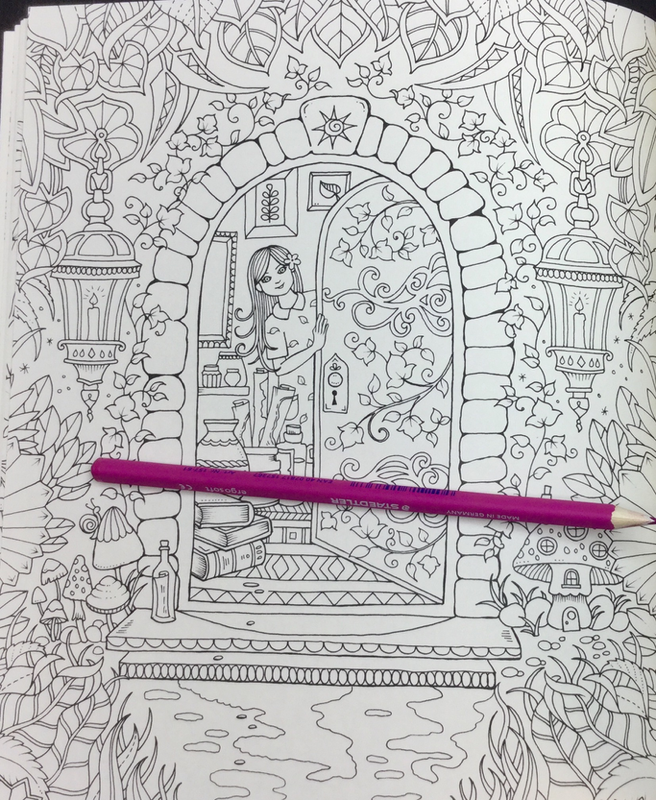 The entire cover can be colored both inside and out. Ivy and the Inky Butterfly measures 8.6 in x 10 in which is a different sizing format from her previous books. You can see a comparison below with Secret Garden. The biggest surprise for me was how thick of a book Ivy is. This little girl has a bit of weight to her. You can see her thick little spine in comparison to a previous book below. An ornate title page commences the book with information about the book over leaf. 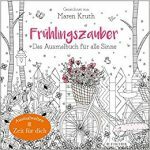 This is an interactive book but the only thing to find are butterflies. There are 200 of them in the book! 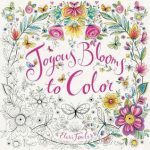 Johanna also gives out some tips on coloring as well and recommends pencils. 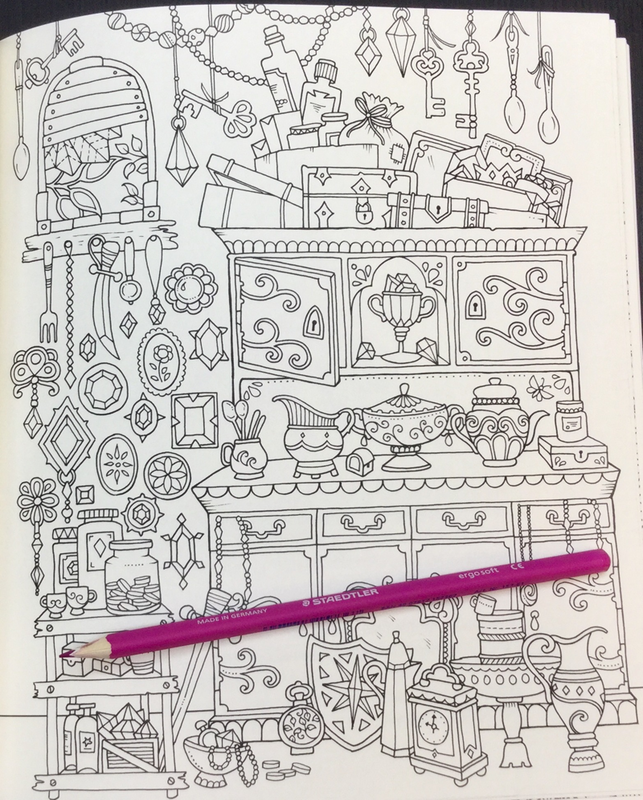 I tested a variety of pencils and markers on the book as you can see in the video. Below is a photograph of my tester page. The only bleed through was from Copic marker (which are alcohol based). A gorgeous nameplate page follows which is so fitting for a keepsake book like this. 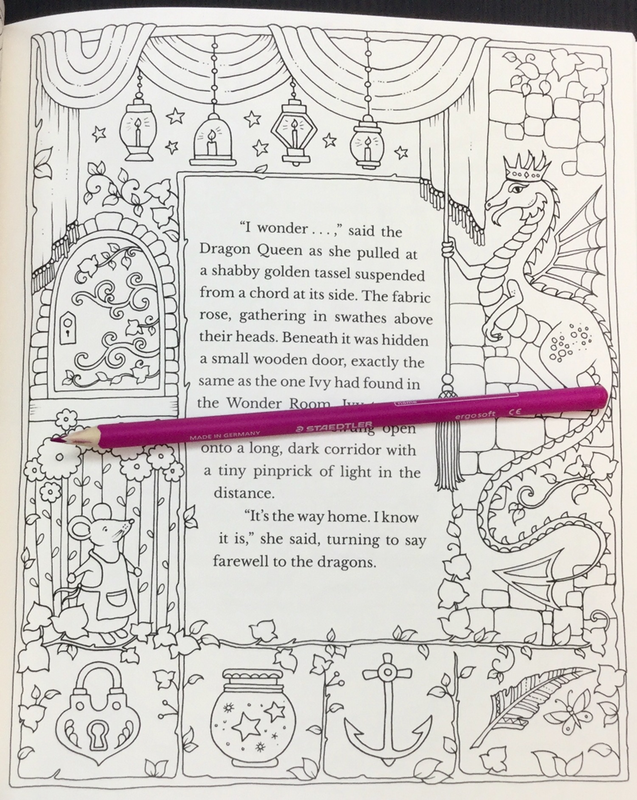 At the end of the book you will find two pages to test out your color schemes as well as “the end” page (which also follows so well in the context of a magical tale). 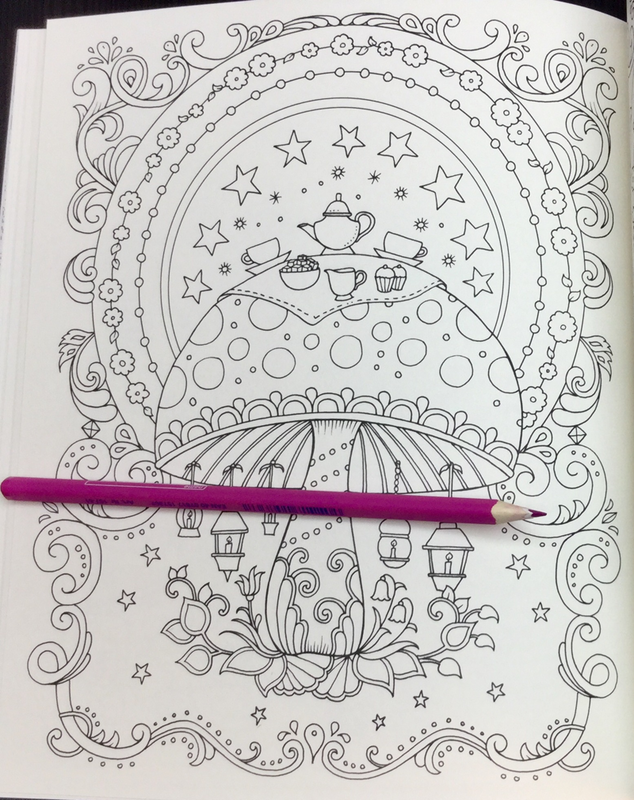 I adore this tea party on top of a mushroom! Illustrations have been printed on both sides of the off white, medium quality paper. 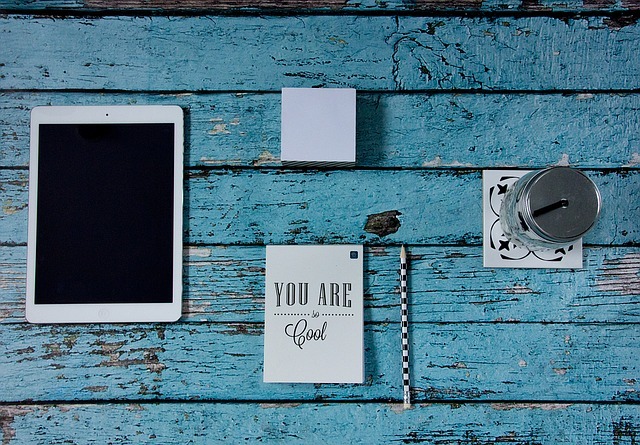 The paper is very sturdy and good quality and on the heavy end of medium. 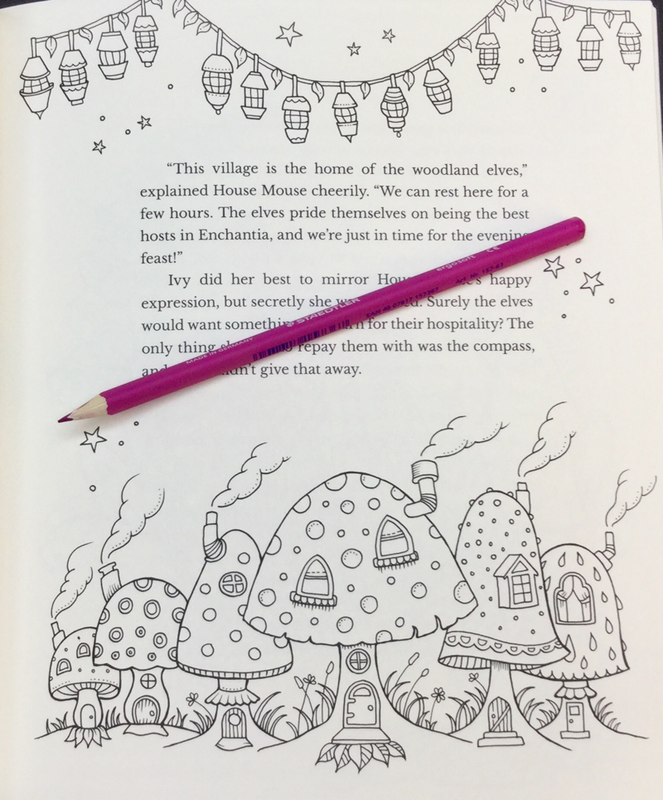 Johanna has stated that the UK and US editions will be using the paper that was used in Magical Jungle. 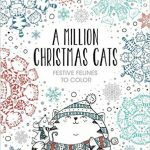 However, countries that imprint the book may choose to use a different paper stock. As this is a story book, printing on both sides of the paper seems to be the right thing to do. Single sided illustrations, although handy for those that like to use alcohol markers, will disrupt the flow of the story. 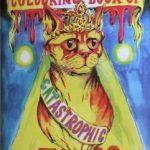 I am impressed with the amount of thought that has gone into the positioning and centering of the illustrations in the book. 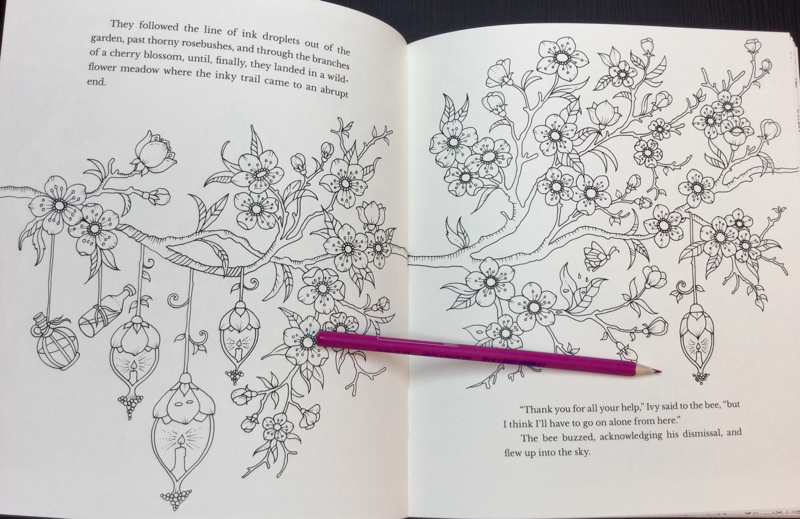 Double page spreads have been carefully designed so they do not run to the spine of the book. Single page illustrations for the majority of images, are well away from the spine. 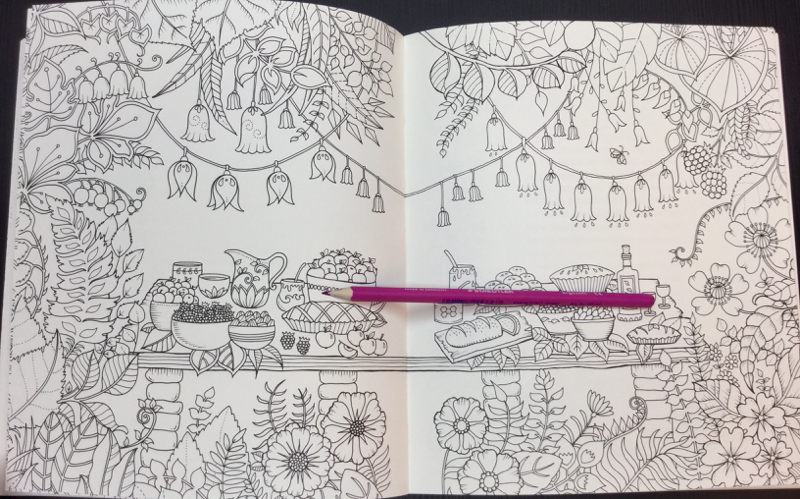 There is one double page spread that does have line art that runs to the center of the spine. 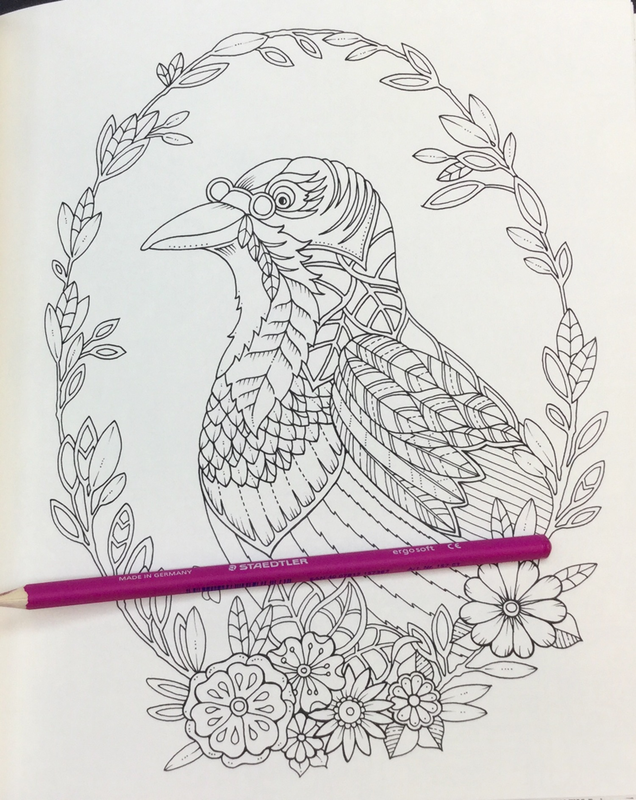 However, this will not be an issue to color at all, as the binding pushes down flat with minimal effort. The one thing that I had wanted to know ever since Johanna announced this book was “would she draw Ivy”. None of Johanna’s previous books have ever had a person in it. Well there is an Ivy, quite a few in fact! Her Ivy is whimsical, slightly cartoony and certainly cute. 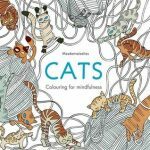 As well as her new foray into including people, Johanna has also made these illustrations extremely whimsical but they still blend with her own unique coloring book style. 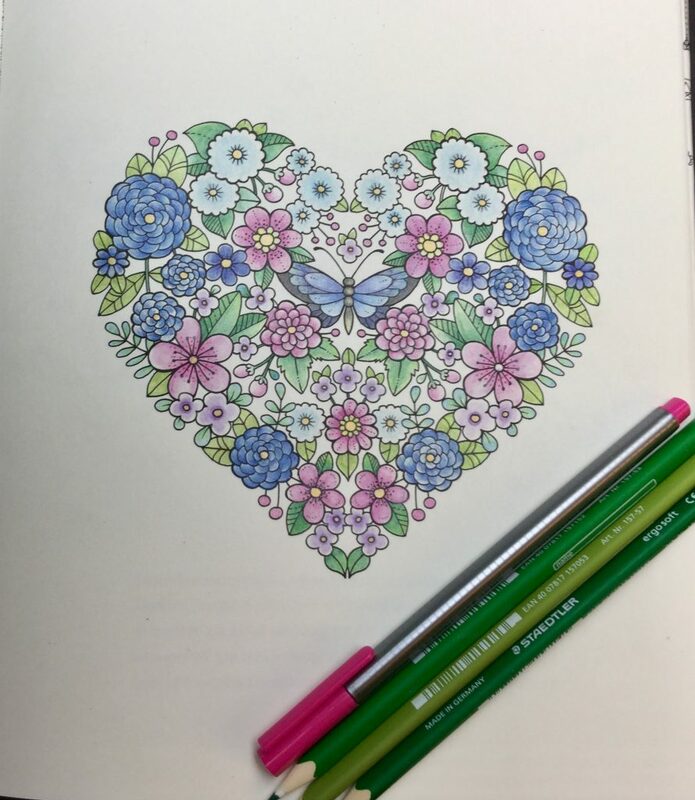 You will find gorgeous flowers, nature scenes and, of course, butterflies drawn in Johanna’s elegant way. Added to this are a little mouse with an outfit on, elves and cute dragons. Some of my favorite scenes are the interiors packed with goodies. We seen glimpses of this style in Johanna’s Christmas and I love seeing more of it. 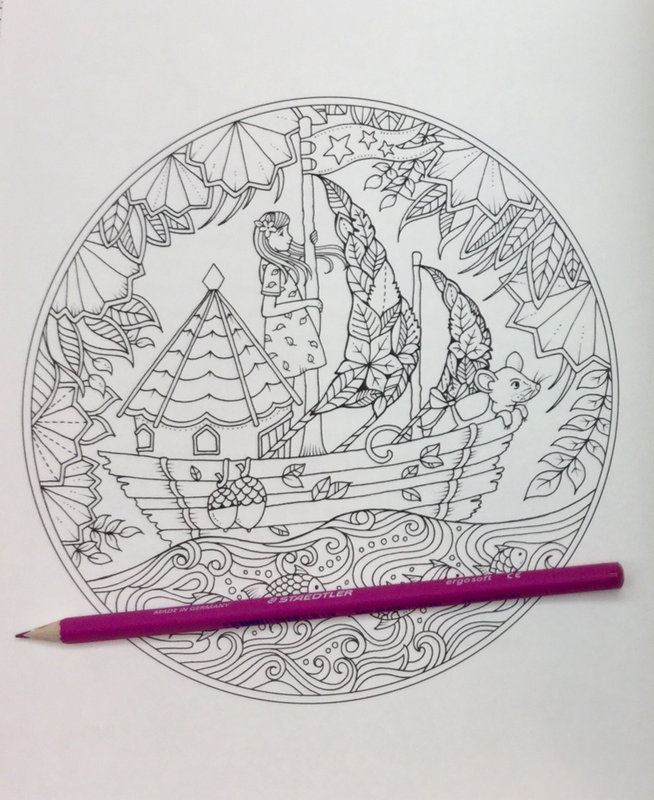 Colorists will find that they have a variety of things to color including metals, gems, crystals, wood and nature. 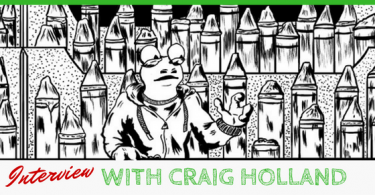 The line art is black and crisp and a fine to medium weight. 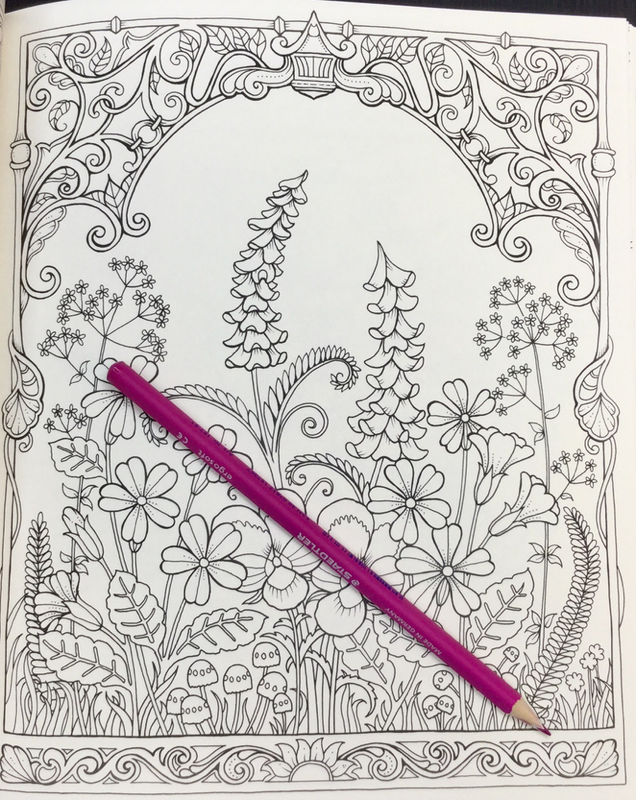 Colorists with a minor visual impairment should have no difficulty seeing the art work. The typography of the story is large enough for easy reading for most colorists as well. 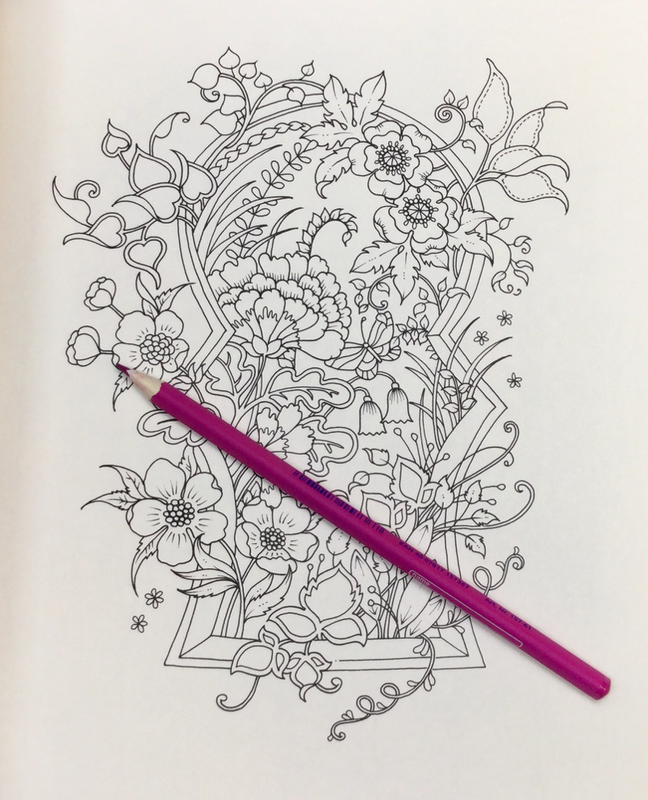 Johanna Basford is a Scottish illustrator that is often credited with starting the adult coloring craze. 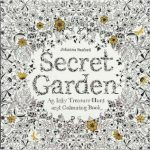 Her first book “Secret Garden – An Inky Treasure Hunt” released in 2013 has sold over 16 million copies. 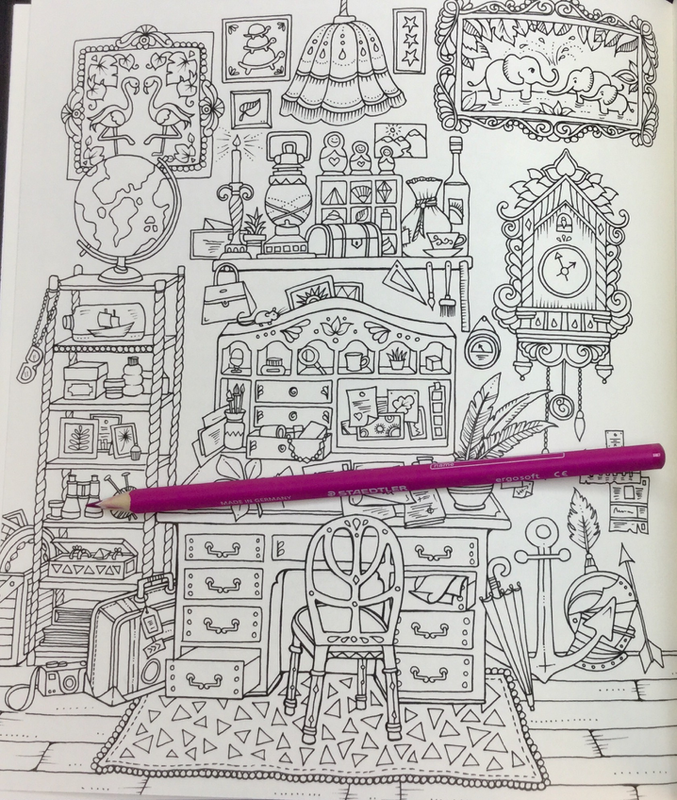 Her work is all hand drawn and is quite distinctive due to the intricate detail she imparts into every illustration.